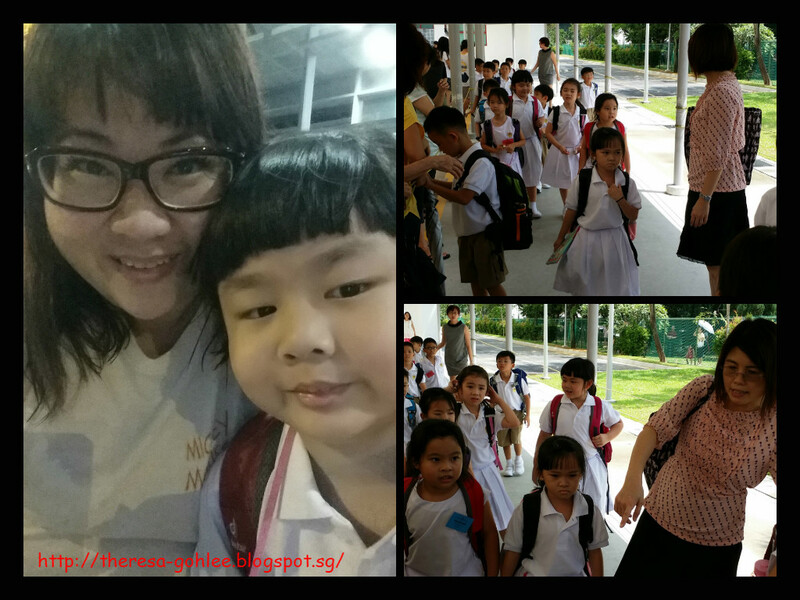 Goh went reservist and I started this week as temp SAHM! As usual 6am we woke up and after washing up I made breakfast for her, change her and off we go to take MRT at 6.45am to Paya Lebar to change Bus 70. We Reached her school at 7am sharp! Told her that I will wait for her at back gate and look out for me later.... after that I head to Market to buy some food so that I can cook dinner later. Took a short nap after I came back from market and off I go at about 1245 Co's she have lesson till 130pm. 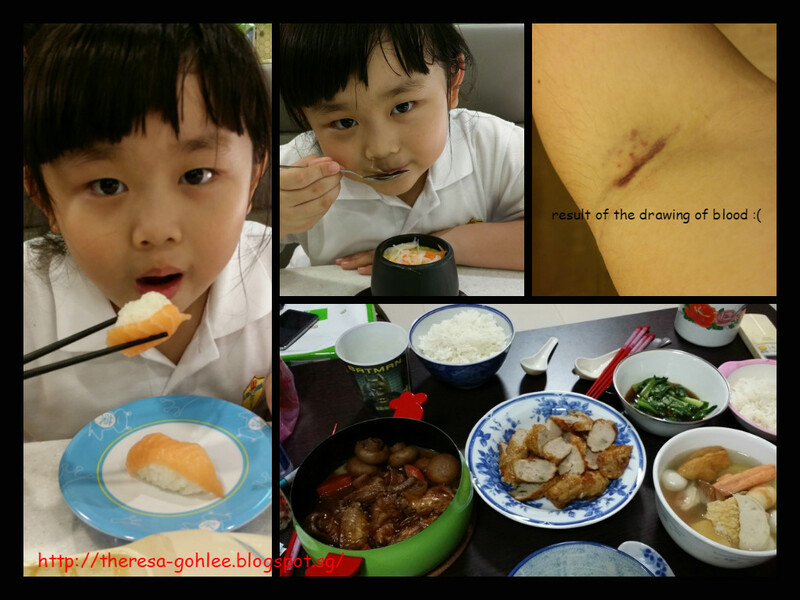 After picking her my little girl Feel hungry and opt to go sakae sushi for lunch. A newly Open branch at paya lebar square seems like is quiet cos no crowd at all and best thing their conveyor belt is spoilt and sushi were found on it! And I am not sure why they didn't want to remove the sushi on the belt as they are dismantle it. After we reached home I started to prepare dinner as Goh said that the army did not intend dinner for them so by the time I finished cooking, washing and cleaning he is back and after he bathe we started our dinner and after one round I dun feel like eating anymore and my poor hubby have to finish all the food left hahaha he will be starting to complain real soon of putting on more weight!